Today generation is fully digitized with computer and mobile technology. We use computer in every field because of their fast speed and efficiency including Education, Entertainment, Banking, Business, Marketing, Medical etc. With the help of computer we listen songs, watch movies, browse internet, play games and use many application software’s like Adobe Photoshop, Ms office etc. Computer can store large amount of data. In situation where a single computer is used by many users and we have to protect our data from other users the folder hiding option is good for hiding our data and provide protection to our data. Even You can Hide Local Disk Using CMD. In situation where a home computer is used by both child and parent there is chance of accidentally damage our data by children or other user. The better solution to this problem is to hide our data to provide it protection against accidentally damage. There are various method provided by windows to hide files & folder. 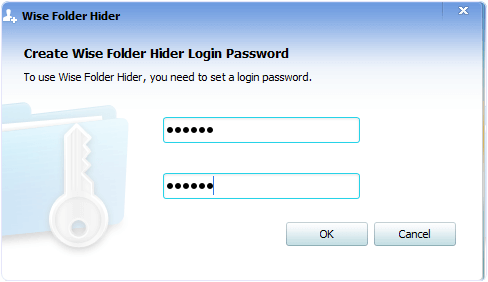 If you do not know how to hide folder and files then don’t worry because in this article we explain about different methods to hide folder and files with inbuilt windows feature and also with software tools. 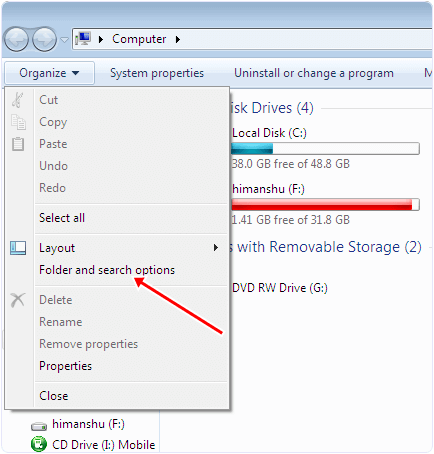 How To Hide Files & Folders In Windows ? 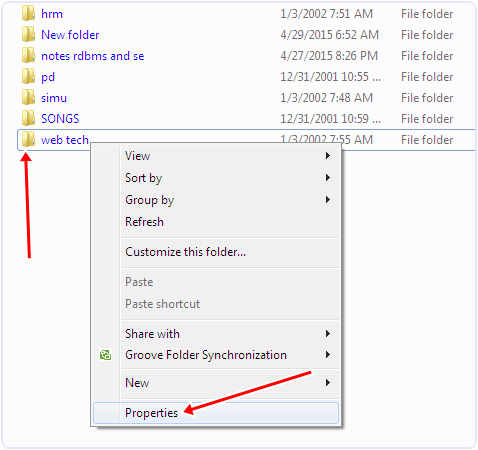 Method 1:- Hide Folders Or Files Inbuilt Windows Option. #1. By Using Folder & Search Option. #2. Hide Folder From Files Properties. 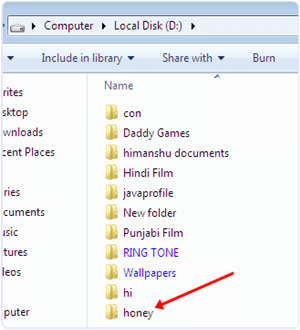 Method 2:- Hide Folder & Files With Wise Folder Hider. Steps To Hide Folder With Wise Folder Hider. Method 3:- Hide Files & Folders With Command Prompt. Command To Unhide Folder & Files. 1. Double click on My computer icon. Now you see my computer Window. 2. In My computer Window, look for organize button. 3. Click the Organize button. Now you see a dialog box. 4. In the dialog box windows click on Folder and Search option. 5. Now you see another dialog box. In the next dialog box click on view button. 6. In the Next windows you see hidden files and folder option. 7. 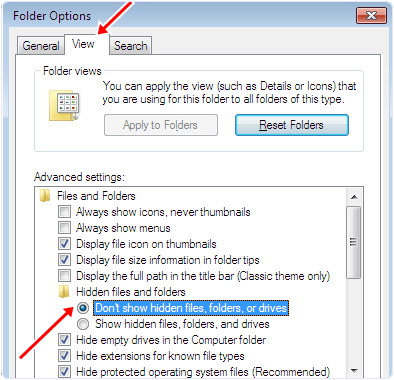 In the hidden files and folder option select the Don’t show hidden files and folder radio button. 8. Click on Apply button and then click OK. In case you want to show hidden folder and files then select second option given below the don’t show option as shown in above image. 1. Right click on the folder which you want to hide. 2. After right click you see a popup menu. 3. Under the menu select the properties option. 4. After clicking properties you will see a dialog box. 5. In the dialog box under the general Tab you will see a attributes option. 6. In front of attribute option tick the hidden option. 7. Click on Apply button and then click OK. Now your folder become completely hidden. If you want to see hidden file or folder then you need to follow 1st method explained in this article. Simple select show hidden files option and then again open properties of hidden file and uncheck the hidden option. 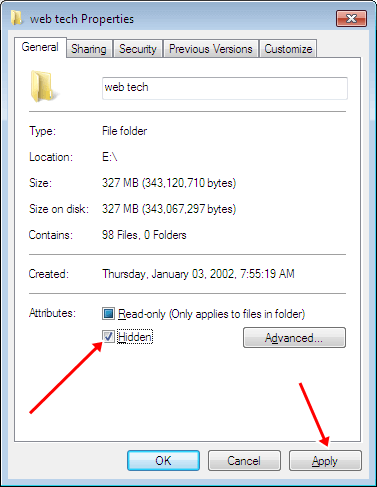 Wise Folder Hider is a awesome tool to hide a folder or a for Windows. It is compatible with all versions of Windows. This is a light weight software which is available for free. It provide additional protection to your data by hiding and setting password to your data. If some can found your files then he is unable to see and delete them without unlocking the files. It provide a simple interface and ease of use. 1. 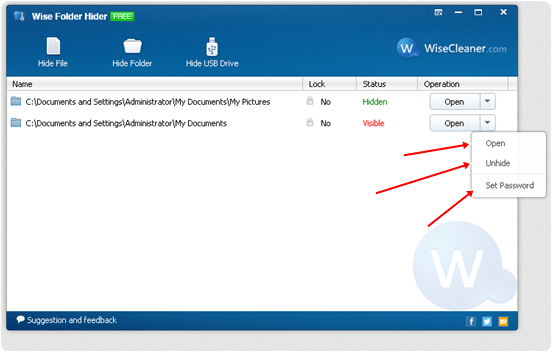 Download and install wise Folder Hider in your PC. 2. When you first time run this tool it will ask for password for every time use. 3. 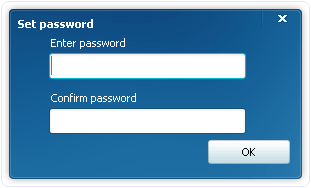 Set your password for each time login. 4. After that you see the operational Window. 5. In operation windows there are three different button for hiding file, folder and usb button. 6. Select a particular button for hiding file,folder and USB. 7. After that you will see a dialog to browse the location of File or Folder. 8. After browsing the file you will see popup arrow button aside the open button. 9. After click the Arrow button you will see a popup menu with hide/unhide, open and set password button. You can set mode according to your requirement for a particular file. 1. Press Windows keys and R to open run command. Type cmd and hit enter. 2. IN the command prompt type the following commands. where ABC is the name of directory we want to hide. 3. After hitting enter your folder is completely hidden. If we can also unhide the hidden folder using command prompt. To unhide the folder type the following command. Hence, these are some best possible ways to hide files & folder and drives with the help of windows features and other 3rd party software. We hope you find this article helpful and successfully able to hide files and folder in windows.